Joey Molinaro’s work as a fleet-footed, far-out and aggressive touring musician is integral to his work as a violinist/songwriter/composer. Joey’s visceral, full-body solo performances are a balance of violin, stomping foot percussion and vocals. This mix can be orchestrated to be either fully acoustic or heavily and simply amplified, allowing Joey to bring to life distinct versions of this music from his home base of Pittsburgh, PA to locations scattered far and wide across the world. Having cut his teeth in the notoriously fickle crowds of the USA in nearly all DIY genres (especially black metal, grind, and experimental music), Joey developed the material on Live in Sweden to capture the audience’s attention and hold on until the end. 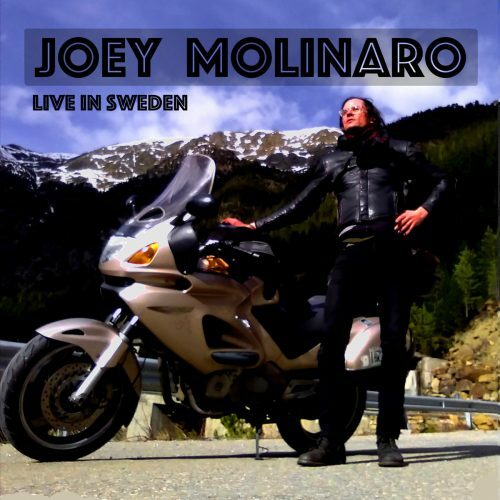 Having previously toured Europe by train, this recording was made deep into Joey’s 2017 European motorcycle tour, comprising 100 concerts in 23 countries. At peak intensity, with sound flowing from his voice, fingers, and feet, this album captures Joey at a live performance at Element Studios in Gothenburg, Sweden, and preserves him at his most dialed in, spinning out material that spans his solo career.